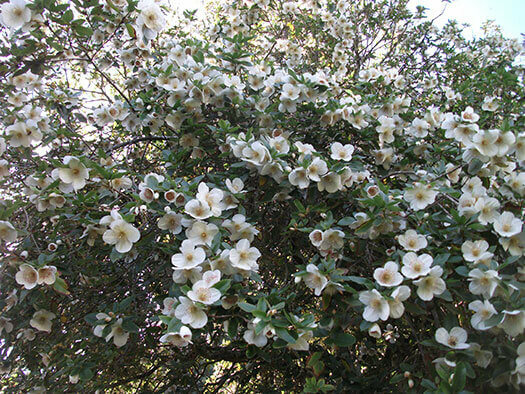 This is a medium sized tree or large shrub. Leatherwood's are evergreen trees with green glossy leaves with grey/white backs. Attractive pink flowers in summer, about 5cm across. Leatherwood is the single most important nectar plant in Tasmania, accounting for about 70% of all honey produced. It has also been cut for timber to be used as a veneer, for tool handles and railway sleepers.